In all of the Japan posts, I’ve discussed how they use mascots for pretty much everything – schools, corporate, ideas, public service- absolutely everything. But why not combine some of those things together to have a super mascot? In 2001, texting became big, so they wanted to promote that you can talk AND text the friends you chose, and it won’t count toward your limit. Hence, they were the ‘Talk ‘N Text Tropang Phone Pals’. This lasted until 2008, when minutes and data pretty much became unlimited for everything, giving them their current name. 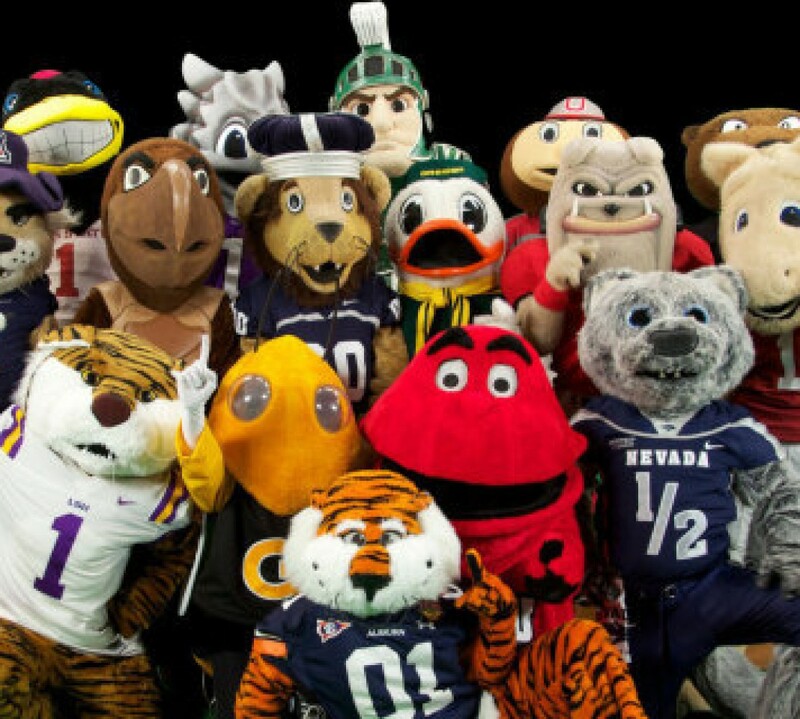 They also have costumed mascots, called Ka-Tropas, who are unfortunately not giant cell phones. There is nothing in English about them, so we’ll assume they’re just two random cheer squad dudes. Why does the one on the right have hair from the ’80s? The team was actually founded in 1990 by Pepsi, when they were the Pepsi Hotshots. Pepsi went with the same marketing technique, and changed their name to 7-Up Uncolas in 1992, and Pepsi Mega Bottlers in 1993. Sadly, I cannot find any photos of this- I really want to see what the Uncolas looked like!